Moscow, March 17, Interfax – Patriarch Kirill of Moscow and All Russia congratulated Russian and Ukrainian teams on their success at the 11th Paralympic Games in Sochi. 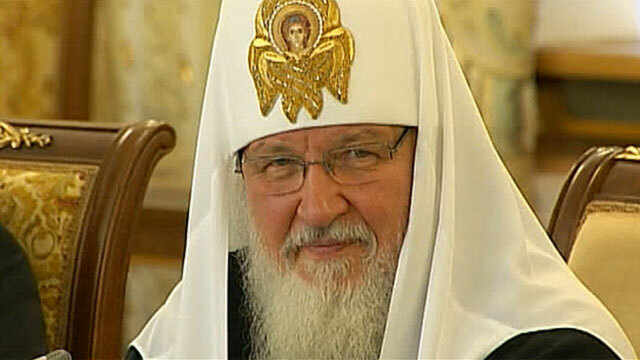 “Your sport achievements have become visible witness to the fact that physical diseases can’t depreciate the importance of human personality, they can’t chain will, suppress human strive for victory, first of all, a victory over himself as it lack makes victory in all competitions impossible,” the Patriarch wrote at his message to Russian sportsmen posted at the official website of the Moscow Patriarchate. “That’s why Paralympic games are unique, they can’t be compared to any other sport events for the powerful impression they produce on human minds and hearts. At the same time you demonstrated invincible power of spirit characteristic for our people,” the congratulation reads. “We sincerely rejoiced for each of your achievements, applauded your successful performance, sympathized and supported will for victory shown at the competitions,” he said. 547 sportsmen from 45 countries participated in the Paralympic Games in Sochi from 7 to 16 March. 72 sets of medals in five Paralympic kinds of sport were put for competition during nine days. Russian team won Paralympic Games with 80 medals which is a record for the Winter Games. National team won 30 gold, 28 silver and 22 bronze medals. Ukraine is at the forth place, it won 5 gold, 9 silver and 11 bronze medals.